If you have never been to the Lady Bird Johnson Wildflower Center in Southwest Austin, now is the time! The Center displays 650 native Texas plant species in gardens (including bluebonnets), meadows and nature trails. Visitors can also explore indoor art exhibits and enjoy the cafe, store and more. Just south of downtown, on South Congress Avenue, is the beautiful St. Edward&apos;s University. Head to the campus grounds for lovely fields of bluebonnets. Pull off (carefully) on Capital of Texas Highway/Loop 360. The sides of the road are covered in blooms. Brushy Creek Lake Park in Cedar Park and Old Settlers Park in Round Rock are both great places to bring a picnic, take a walk or jog and see the bluebonnets. Head to Bastrop County for a day trip. Or, better yet, make a weekend of it and stay at Hyatt Regency Lost Pines Resort. The bluebonnets are plentiful in the area! 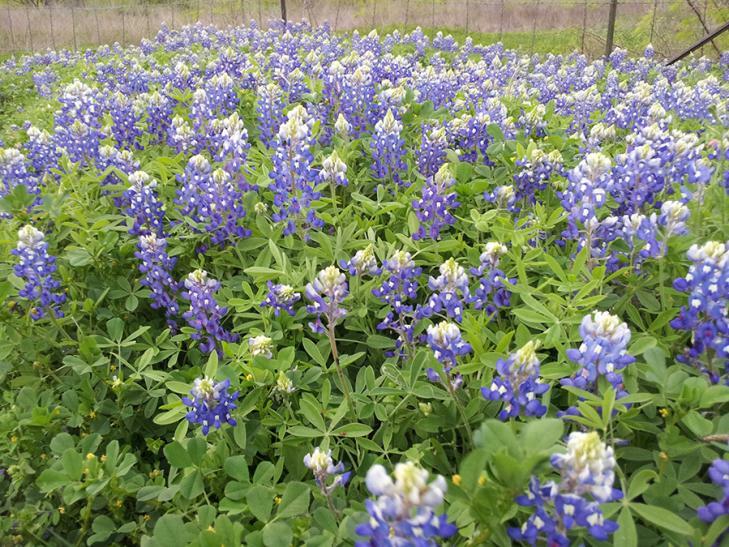 Follow Bluebonnet Love on Twitter for sightings: @bluebonnetlove. Share your bluebonnet photos on Twitter and Instagram with #TrueAustin.